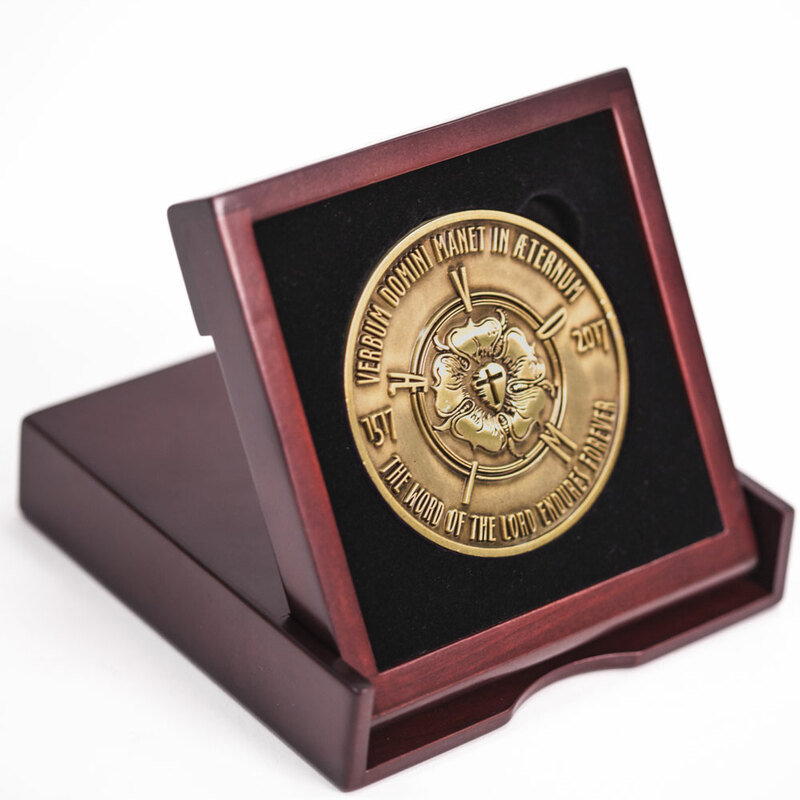 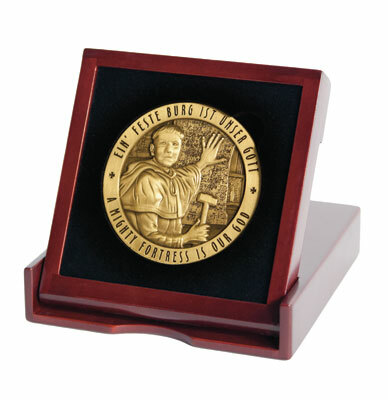 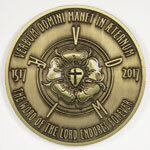 This bronze-finish commemorative medallion for the 500th anniversary of the Lutheran Reformation makes a perfect gift for your friends and loved ones! 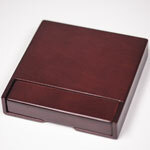 Standing three inches tall, the medallion comes tucked in a beautiful cherrywood keepsake box that doubles as a display case. 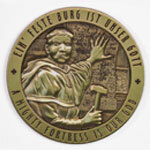 One side of the medallion features Luther posting his famous Ninety-Five Theses on the Castle Church door in Wittenberg, Germany. 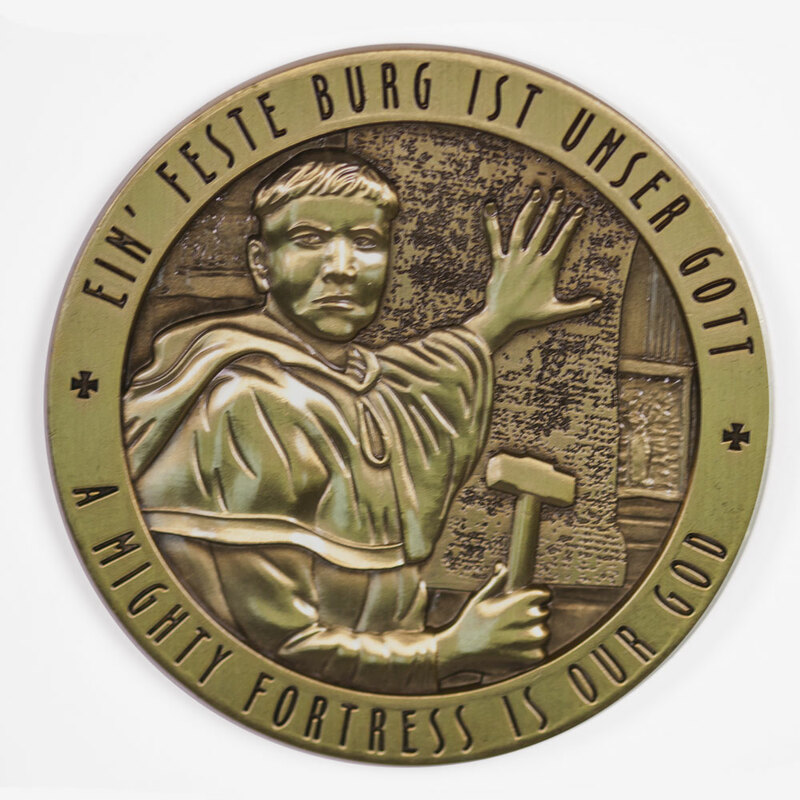 The image is surrounded with the first line of Luther’s most famous hymn—“A Mighty Fortress Is Our God”—in both German and English. 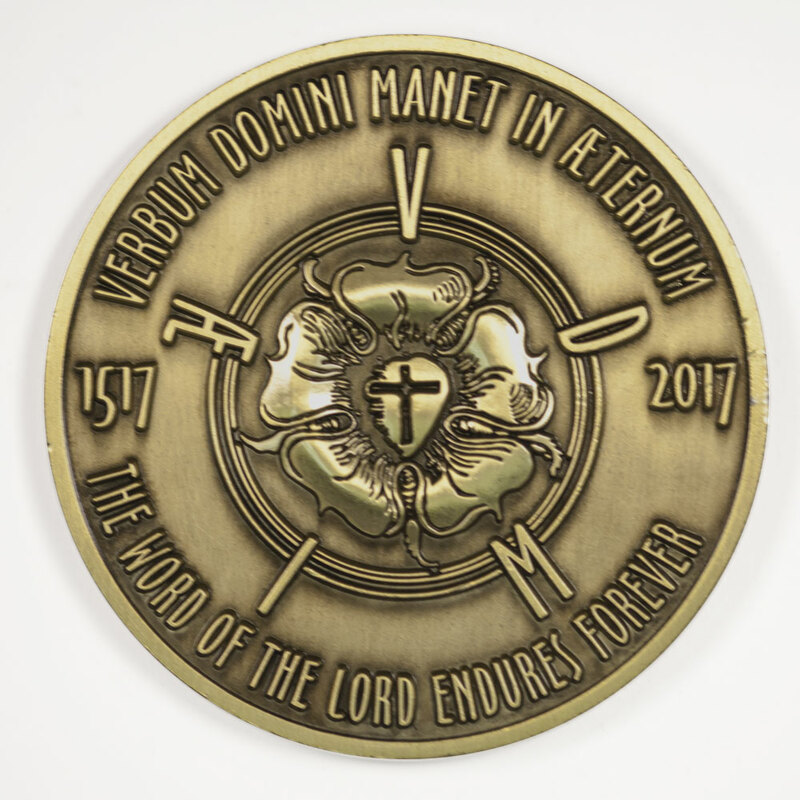 Flip the medallion to the other side to see Luther's rose encircled by the Reformation motto—“The Word of the Lord Endures Forever”—printed in both the original Latin and English.